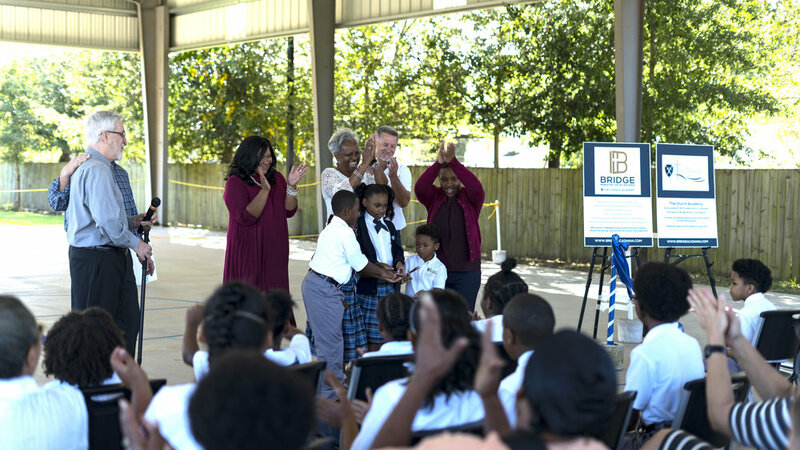 Bridge Ministry of Acadiana held a ribbon cutting on October 5th, 2017 for the official opening of The Church Academy - Lafayette. We appreciate everyone who attended the event, and feel so blessed to offer this opportunity to the children in our community! Local news sources attended the ribbon cutting. One being KATC who quoted Emilie Duhon, owner of Magnolia's Home Care in Lafayette with - "We've had so many of our kids who were put into another room or another category because of their learning disability. And it wasn't always a learning disability as it was a one-on-one association." KLFY quoted our principle, Joel Greene, with - "The kids are learning, the kids are growing and we just love everything that’s going on." The Church Academy - Lafayette provides students with a free, fully accredited, private Christian education for kindergarten - 6th graders in Acadiana. We look forward to the bright future ahead! Registration for the 2018-2019 school year opens October 23,2017. Contact us for more information.